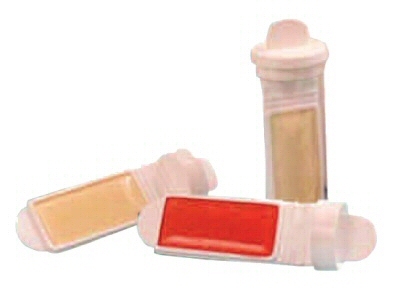 Bacticount Slides - TCS Biosciences Ltd.
Bacticount slides are designed to test working surfaces and fluids for bacterial or fungal contamination. Food products can also be tested for surface contamination. Bacticount is a plastic slide coated on both sides with microbiological culture media and is contained in its own sterile tube. The slide is hinged for ease of use. Also available is the Cultura Incubator, a well designed unbreakable unit made from acid-proof synthetic material, with a front opening transparent plexiglass door. It will hold a maximum of 20 slides at one time and has the temperature preset to 35°C, and adjustable from ambient to 40°C.